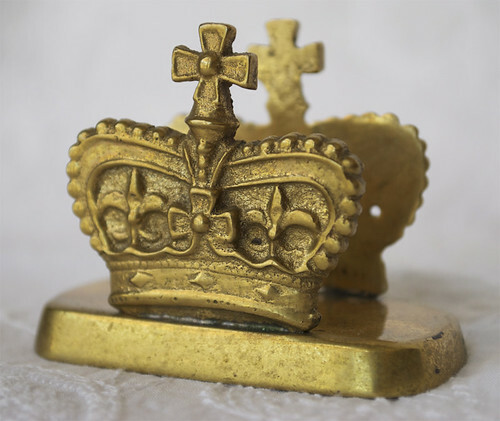 If you want to dress up your foyer table or desk, then this Vintage Brass Royal Crown Letter Holder is exactly what you've been looking for! It's small but substantial so it won't take up too much space wherever you place it. It could be used to hold letters, business cards, or bills. Just add it to your space and it'll be sure to add some French chicness! - It is in excellent condition.